Insomnia is a common symptom of multiple sclerosis (MS), one that can significantly interfere with your quality of life by contributing to daytime fatigue and low energy. Rather than being separate issues, many experts believe that sleep-related disorders are direct consequences of the physical and emotional burden commonly experienced by people with the disease. 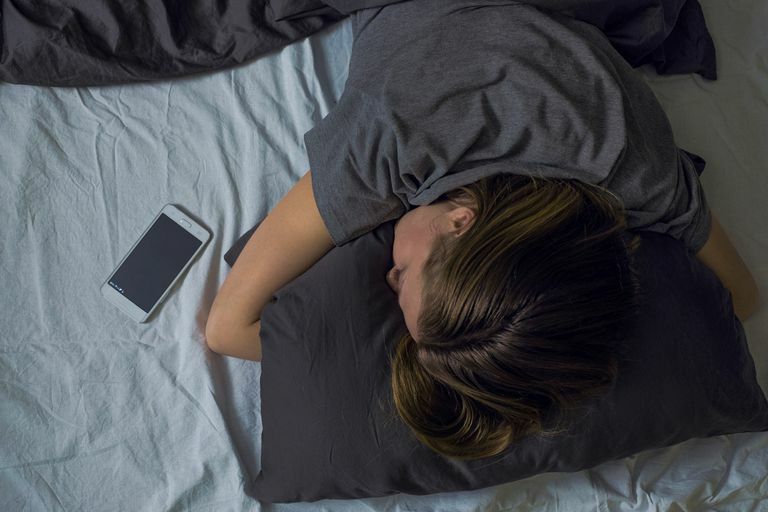 One study, conducted by researchers at the University of California Davis School of Medicine, reported that the rate of moderate to severe insomnia in people with MS was 32 percent—more than twice the national average. Moreover, 51 percent said that it took them more than half an hour to fall asleep at night. Still, these sleep concerns are grossly underdiagnosed in people with MS. The UC Davis researchers concluded that uncontrolled or worsening MS symptoms combined with anxiety and depression were largely to blame for the insomnia rates they reported. There are three different types of insomnia. Each affects a different phase of sleep and has different MS-related causes. Initial insomnia is defined as the inability or difficulty to fall asleep. In people with MS, initial insomnia may be caused by neuropathic or musculoskeletal pain as well as certain medications known to cause sleeping difficulties. Middle insomnia is when you awaken during the night and cannot fall back asleep. Ironically, people with higher daytime fatigue are more likely to experience middle insomnia. Other MS-related symptoms such as muscle spasms and nocturia (the urge to urinate at night) can also cause this effect. Terminal insomnia is simply waking up too early. The cause of terminal insomnia in people with MS is not well-understood, but some believe that a lack of exposure to daylight (particularly in those with depression) may contribute to this. A sleep log: A sleep log is a simple diary in which you record details about your sleep, such as your bedtime, wake up time, and how sleepy you feel at various times during the day. A sleep inventory: A sleep inventory is an extensive questionnaire that gathers information about your personal health, medical history, and sleep patterns. A sleep study: Your doctor may suggest that you do an overnight sleep study, or polysomnography, to gather information about your nighttime sleep. In this exam, you sleep overnight in a lab. You'll be connected to an electroencephalogram (EEG), which monitors the stages of your sleep. A sleep study also measures things like oxygen levels, body movements, and heart and breathing patterns. As a first step, your doctor should make sure the MS symptoms that may be contributing to your sleep problems are addressed—such as urinary problems or restless legs syndrome. While many people consider sleeping pills to be the first-line treatment of choice for insomnia, sleep medications have their downsides and limitations. All in all, while they may offer benefits over the short term, the drugs tend to lose their effectiveness quickly and are potentially addictive. Cognitive behavior therapy for insomnia (CBTI) is a drug-free alternative that is often turned to as a first-line treatment for insomnia. Among its benefits, it may help train your brain that your bed is associated with sleep, not wakefulness. Other people turn to medical devices such as continuous positive airway pressure (CPAP) to treat sleep apnea and bright light therapy to treat circadian rhythm sleep disorders. These conditions, though, need to be diagnosed by a healthcare professional first. Get plenty of natural light exposure during the day. Go to bed and get up at the same time every day, including weekends. Exercise regularly to improve sleep, but don’t do it within four to six hours of your bedtime, as it can overstimulate you. Limit your caffeine, alcohol, and nicotine intake six hours before bedtime. Stop drinking any fluids a couple of hours before going to bed. Try to clear your mind when in bed. Avoid TV and electronic devices. Keep the bedroom dark and the temperature cool. Do not lie awake in the middle of the night. Get up, read a book, or do some other activity to settle your mind before returning to bed. If you are having sleeping difficulties and have tried simple measures like the ones mentioned above without much relief, be sure to talk with your neurologist. Together, you may be able to find the culprit behind your sleep problems. In some cases, your doctor will refer you to a sleep specialist for proper treatment.